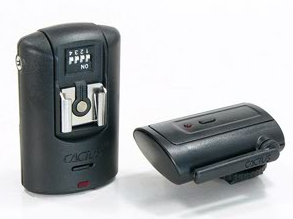 Cactus (produced by Harvest-One) is expected to release a new version of their V4 wireless flash trigger by the end of the year (2010). The new version will not be compatible with the current Cactus V4 model. Cactus is basically a cheap alternative to PocketWizard. You can see a review of the current Cactus 4 flash trigger here.